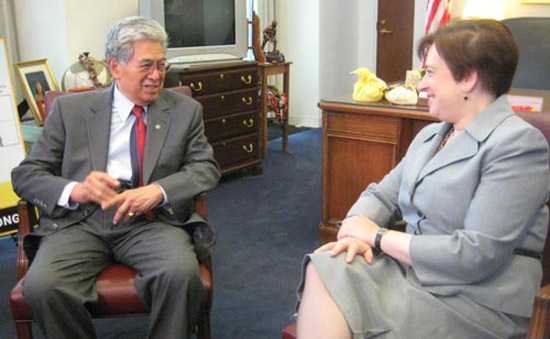 U.S. Sen. Daniel K. Akaka met Thursday, May 20 with Solicitor General Elena Kagan regarding her nomination to the U.S. Supreme Court. The meeting took place in Akaka’s office in the Hart Senate Office Building. The Senate Judiciary Committee announced confirmation hearings for Kagan will begin June 28. The full Senate is expected to vote on her nomination later this summer.